Steven Universe is an American 15 minute animation science-fiction television series, which kicked off on November 4, 2013, on Cartoon Network and is broadcast every Monday at 19:30. The show is currently in its 5th season. Cartoon Network has officially confirmed the renewal of Steven Universe for Season 6. The exact release date is yet to be announced so far. Sign up to track it down. 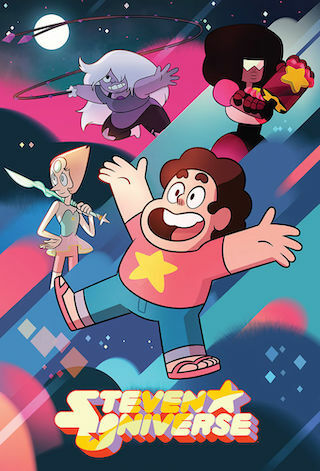 Steven Universe, from Adventure Time writer-artist Rebecca Sugar, is a coming-of-age story told from the perspective of Steven, the youngest member of a team of magical Guardians of the Universe.